Scotland’s Future is available to download, read online or order a copy. As I have been thinking about the issues surrounding the question of Scottish independence I keep finding myself thinking about language and words. I keep finding myself wondering what relationship these words have with reality. I hear language that suggests us vs them. I hear words about strength and security. I hear accusations of fear and scaremongering. As Fr Pip Blackledge also said in a recent blog post, I don’t hear much listening. I hear a lot of broadcasting, and threats and posturing, bordering at times on aggression. I don’t hear much listening. Now is the time we need to be living out the society we want to become, regardless of which side of the argument we find ourselves on. Already we need to be demonstrating the kind of society that puts one another first, that understands fairness and demonstrates respect and care. Before I was ordained Fr Gian Tellini told me that if I wasn’t a priest when I went up the aisle at the start of the service then I certainly wouldn’t be one when I walked back down the aisle at the end. 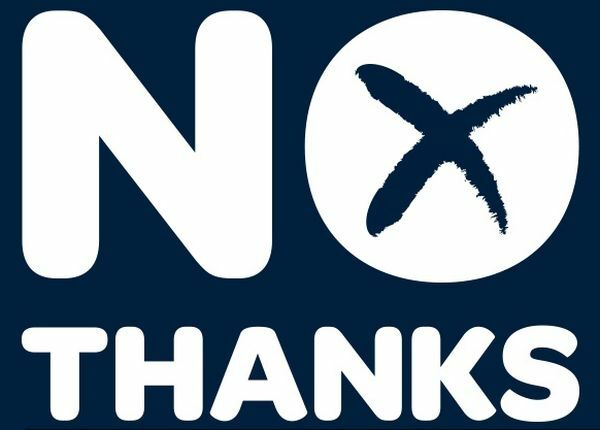 If a majority of Scots vote yes in September then it will still be the same people (those who voted yes and those who voted no) living side by side trying to figure out how we adjust and get on with it. We need to be listening now, and building bridges and developing an understanding and caring of one another’s points of view now, because that is the society we’re going to need after the referendum, regardless of the outcome. There’s lots more I want to say but I’m going to keep this short and end with this short passage from one of my favourite books, Awareness by Anthony de Mello (Zondervan, 1990) which talks about how we identify with words. Mark Twain put it very nicely when he said, “It was so cold that if the thermometer had been an inch longer, we would have frozen to death.” We do freeze to death on words. It’s not the cold outside that matters, but the thermometer. It’s not reality that matters, but what you’re saying to yourself about it. Russia and Finland are only words, concepts, but not for human beings, not for crazy human beings. We’re almost never looking at reality. Words, words, words, words, how imprisoning they are if they’re not used properly. That farmer didn’t move! Even if he had decided to label his patch of land ‘Russia’ the winter would not, in reality, have been any more severe than any of the previous he’d experienced there. All that would have changed was the label. But in his mind that label meant harsh winters. I wonder, what does it really mean to label myself Scottish? Or half-Scottish, half-English (which is what I am)? Or British? Or even northern British? What difference do these labels make to my perception of myself? What difference do these make to how I act and behave? What difference do they make to the reality of who I am: the I, the subjective knower, as opposed to the objective me? What difference will it actually make whether Scotland is an independent country or remains part of the United Kingdom? This is a challenge for me, I think, to be careful with my words, to listen more, to understand what others think and feel and fear (and to acknowledge that fear is also a valid response to this situation), and to be on the lookout for the reality behind the labels.